Kapil Sharma has been out of the scene for some time now, but his recent appearances on Kaun Banega Crorepati and Indian Idol have left many popular shows in his wake. 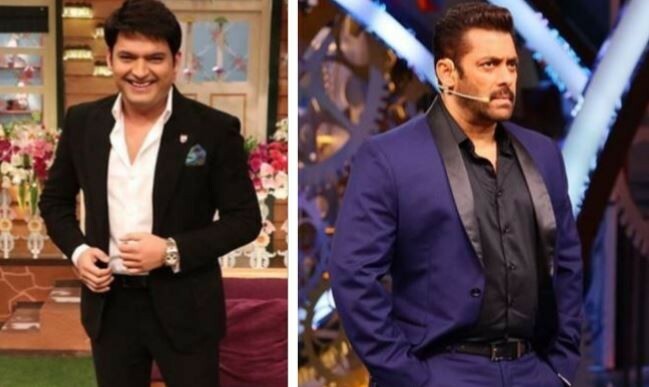 Kapil Sharma might have been out of the scene for quite some time, but once his re-entry on Amitabh Bachchan's 'Kaun Banega Crorepati', left many majorly popular shows behind. Salman Khan's Bigg Boss 12, on the other hand, was somewhere between the 15–20rank over the last few weeks. The reality show has finally been ousted out from the top-20 list owing to its low entertainment value this year. Surbhi Jyoti starrer–Naagin–has once again secured the first spot on the charts as it has over the past few months. Followed by 'Kundali Bhagya' and 'Indian Idol' in second and third place respectively. Indian Idol, which saw itself placed in the top 5 for the first time this year, found its lucky charm–Kapil Sharma this week. Kapil was invited as the guest judge in the past week's show where his bachelor party was also celebrated. This led to a massive leap in Indian Idol's TRP. Kumkum Bhagya, Kulfi Kumar Bajewala and Yeh Rishta Kya Kehlata Hai secured fourth, fifth, and sixth spots respectively. Amitabh Bachchan's "Kuan Banega Crorepati" finale which again saw Kapil Sharma as a guest contestant, jumped massively and secured the seventh spot. Taarak Mehta Ka Ooltah Chashma, Radha Krishna, Guddan Tumse Na Ho Payega and Tujhse Hai Raabta bagged the eighth, ninth, tenth, and eleventh spots respectively. At 12 was Kasautii Zindagii Kay and the 13 spot to Shakti–Astitva Ek Ahsaas Ki. Manmohini, Ishq Subhan Allah, Nazar and Dance Plus were placed 14, 15, 16, and 17, respectively. Nimki Mukhiya is at 18, followed by Ishqbaaz at 19, and Ishq Mein Marjawaan was placed at 20. With the season finale just around the corner, it is surprising to see Bigg Boss 12 nowhere in the top 20.